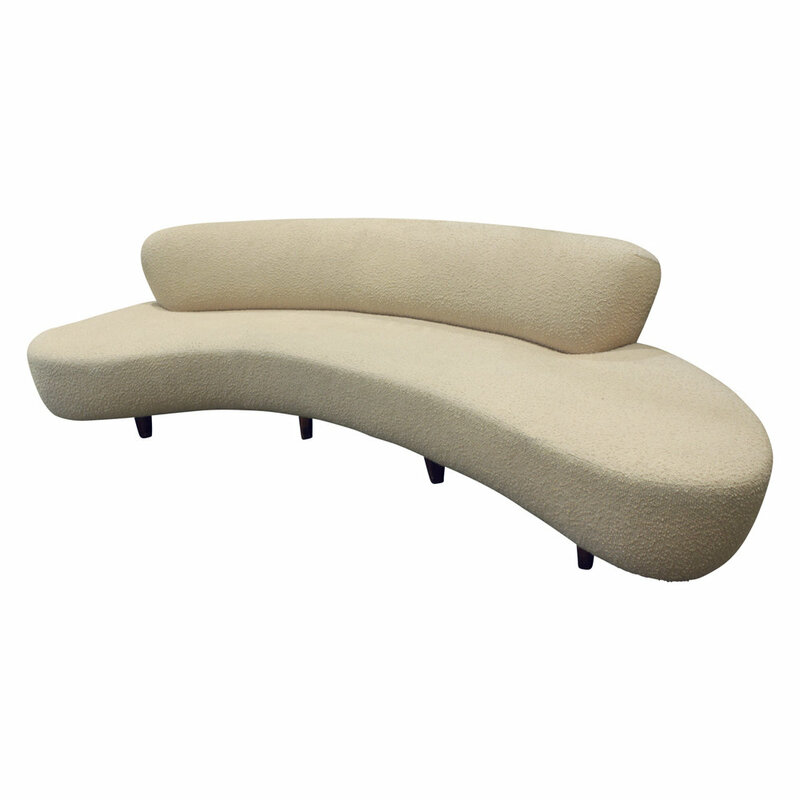 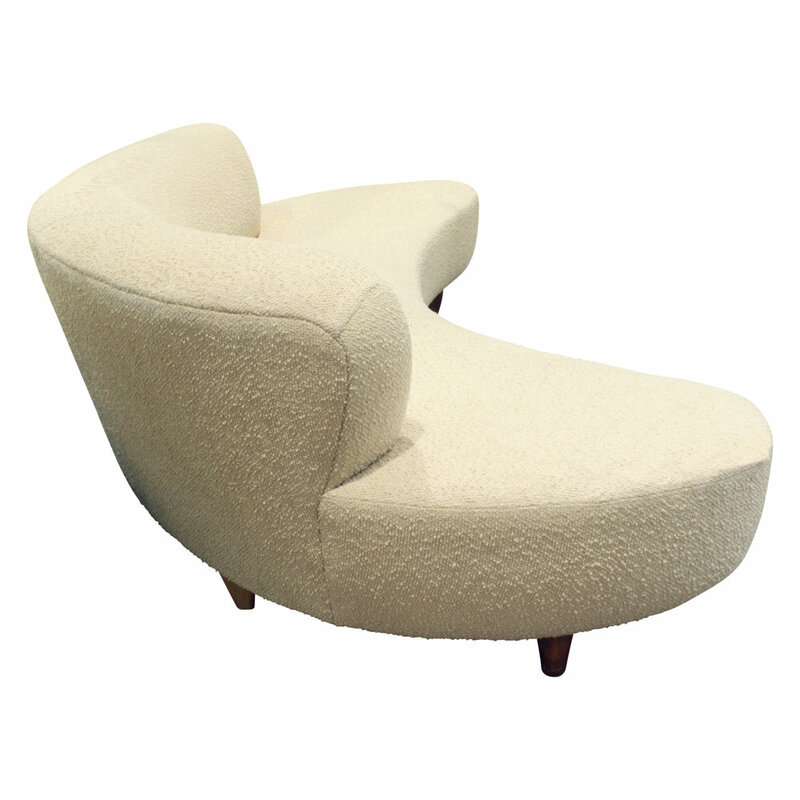 Cloud sofa with curved back and walnut legs in the manner of Vladamir Kagan, American 1960's. 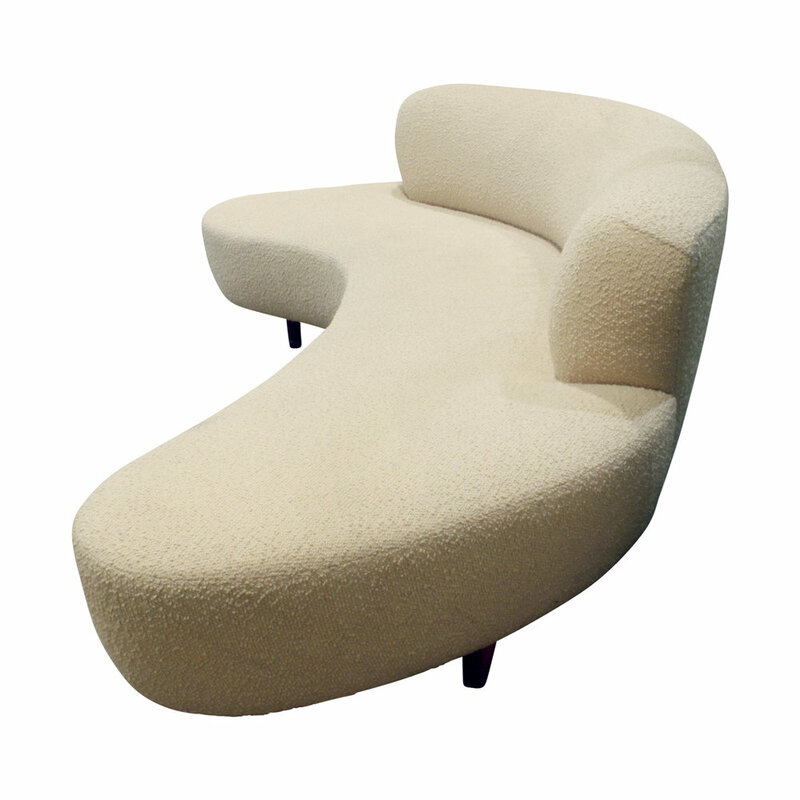 Fabric has wear and tear due to age. 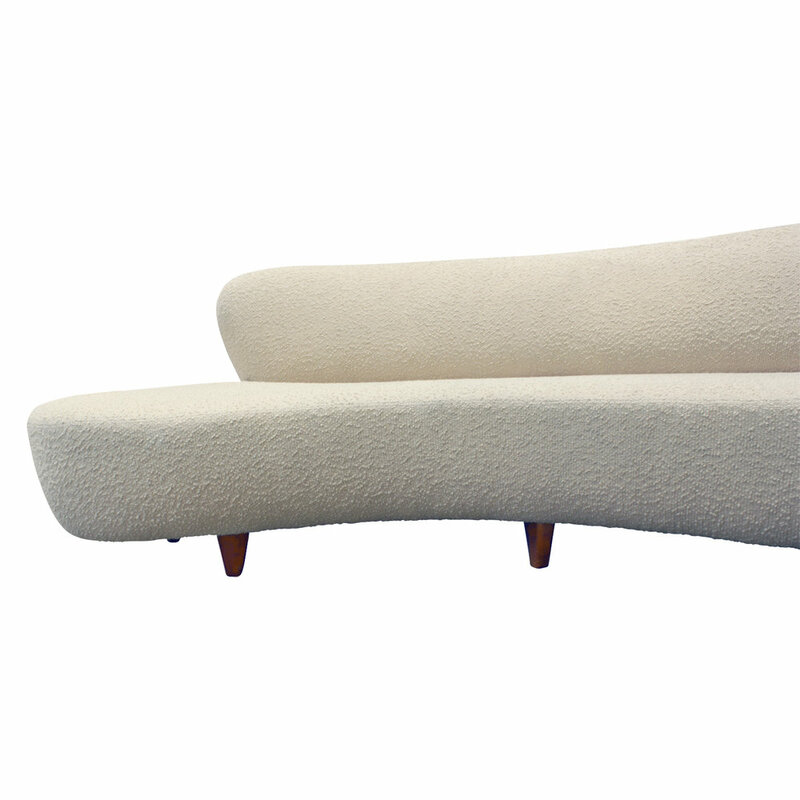 Pricing includes reupholstering COM.